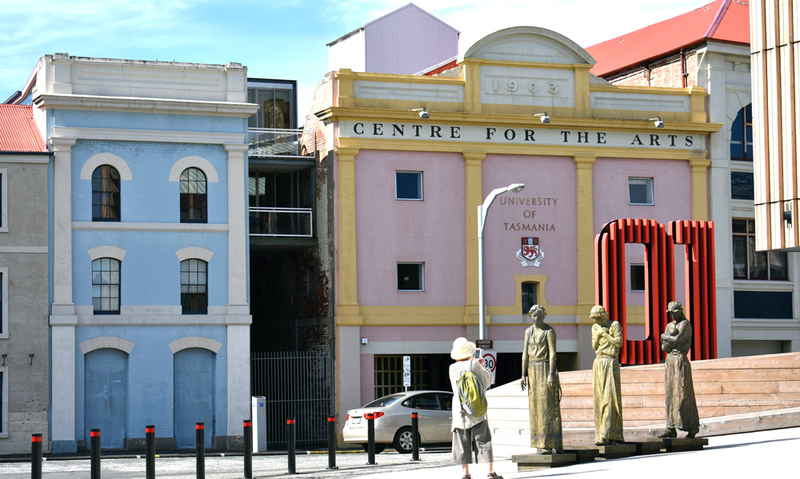 We arrived into Hobart full of energy and excitement, ready to explore the Tasmanian city on the fringe of a world heritage wilderness area. Hobart’s airport is a short drive of under 20 minutes to the hilly town of Hobart but not before crossing the Derwent River on the Tasman Bridge, a soaring five lane bridge. One of the architectural highlights for us was travelling across this bridge, it’s very cool and the view amazing too. 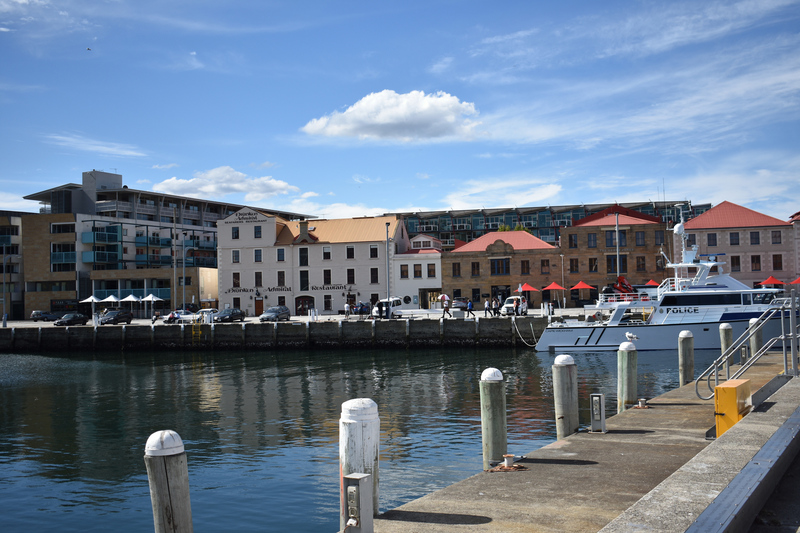 The waterfront area overlooking the river Derwent in Hobart’s CBD is a food and entertainment precinct, and it’s also a functional port for cruise ships, ferries, research vessels, yachts and anything nautical including icebreaker ships that chart down to Antarctica! 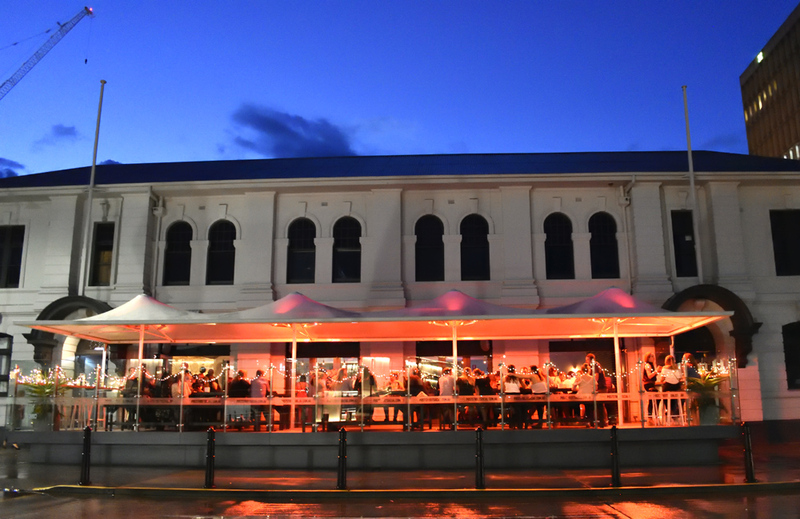 The combination of port and entertainment areas was a pleasurable area to wander around during the day time in search of the next meal, we wandered the piers which were lined with hotels and modern warehouse style restaurants. For something more casual there were floating fish and chip restaurants docked up too. Did I mention trying a Wallaby burger or pizza? The charm of Hobart continued as we finished our drinks from Frogmore Creek and walked towards the CBD area passing some beautifully preserved Georgian sandstone warehouses. Nearby, Salamanca Place, well known for the Saturday markets and although we missed out on this experience we found some nice restaurants and taverns, also a little grocery store selling local Tasmanian produce. Wellington Park sits on the edge of Hobart’s city centre where the summit of Mount Mt Wellington shadows the Tasmanian town. The views are something special and there is plenty of outdoor activities to find lower in the park. Not really having the luxury of time on our side for this particular trip, we set out on the quickest way to the top which entailed driving the tourist route up to the 1,270m high summit. The drive took us along an interesting tight and winding road for around 30 minutes tailing behind a procession of cars, clearly a popular way to reach the summit. I must admit it felt a little strange driving up to a summit without enduring a nice hike, but stellar clear conditions and a cat on a leash greeted us amid many other people on the summit. It took us a while to park, patiently waiting for the line of cars in front of us to find a parking bay. 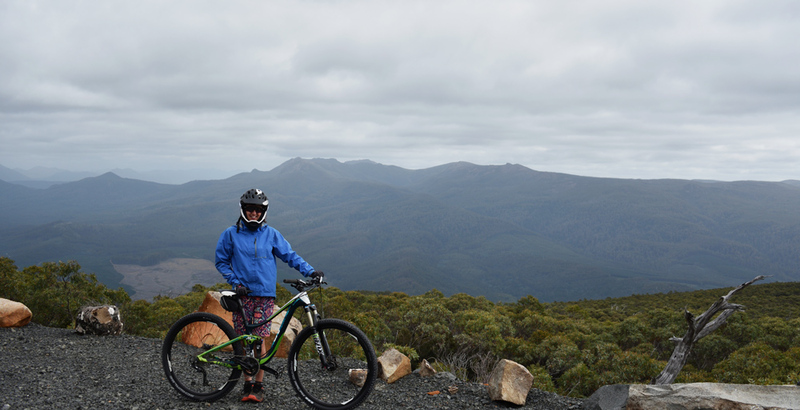 Wellington Park has a number of trails to explore and mountain bikers can traverse the range, something we would love to check out in the future! 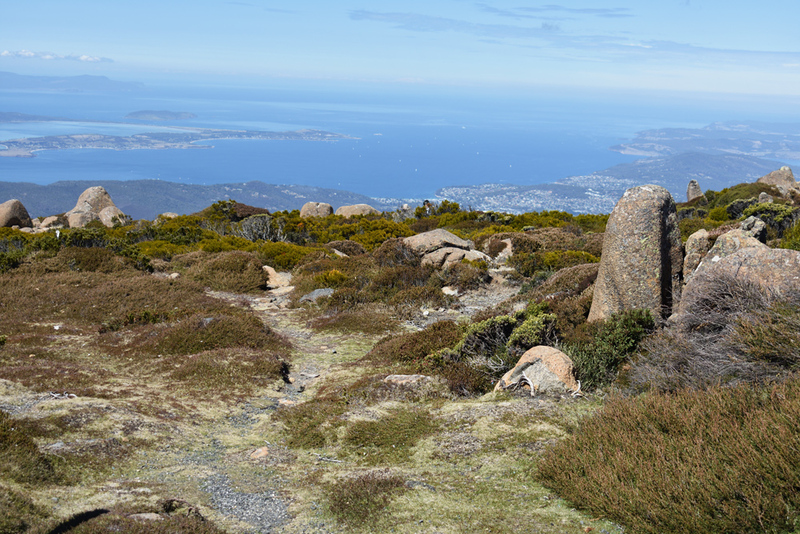 Regularly travelling on remote trails has probably made us a little sensitive to the tourist environment but above the clouds on this particular day being able to see a far reach landscape further than Hobart city was magic and took the edge away from the crowd experience. There were a number of observation decks but we took to climbing the rocks for the picturesque views. The city views were spectacular and so were the views on the other side of the summit looking out across the bush land. Gazing across a landscape encompassed by nature is something we really appreciate these days because in an ever increasing population, there are always buildings, signs and dazzling lights in front of our eyes. This view below was soothing. 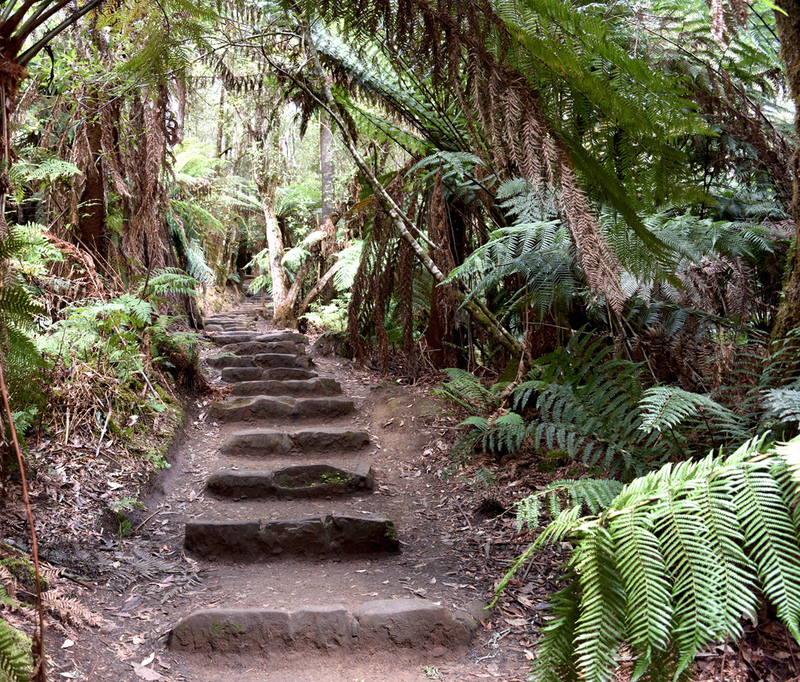 In just an hour’s drive from the city centre of Hobart through small towns, along watercourses and past hop fields is Mount Field National Park, a part of Tasmanian’s Wilderness World Heritage Area. Be careful of wildlife on this single road, unfortunately we saw too many dead possums and wallabies along the road, we lost count over the weekend which was disheartening. The park’s diversity spans from tall rainforest and water falls to alpine fields in the high altitude section of the park. We only had one afternoon to explore the park so we settled on three short walks. 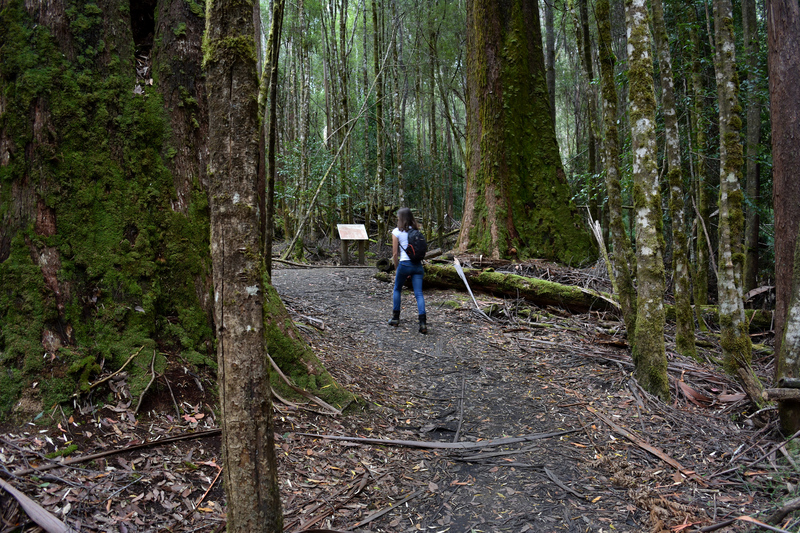 Our first walk in the park was along the Tall Tree circuit through a forest of swamp gum trees (Eucalyptus regnans), which also happens to be the tallest flowering plant on Earth. How cool is that! 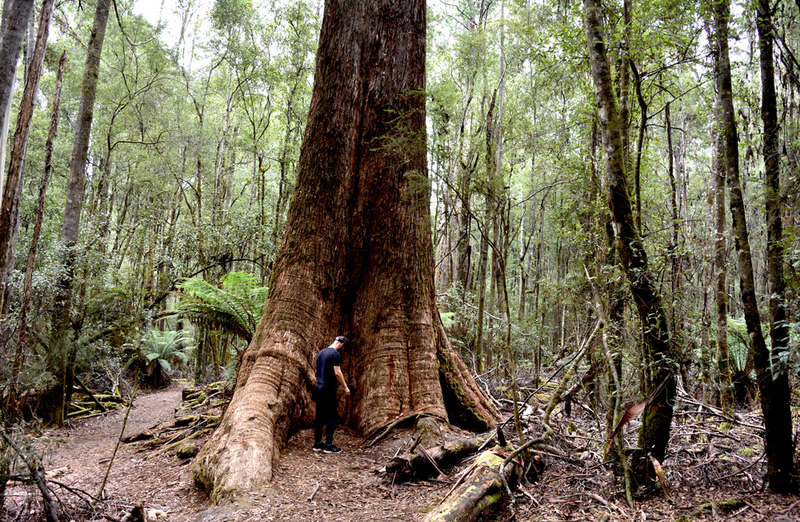 As we walked through the damp and dimly lit forest, we were in awe at the appearance of these hundreds of year old trees, the width of some of the trunks kept us pondering just how old these trees really were? A lot of timber felling back home in Western Australia has taken away century plus trees and this reflection seemed to crop up in my mind as we appreciated Tasmanian’s trails. While the forest walk itself was short and sweet at 1 km, we found ourselves pausing at one giant tree after another and frequently looking up just to appreciate the height. The trail was easy to follow with interpretive signage along the way. We parked opposite the walk, but it is possible to reach the Tall Tree Circuit by parking at the visitor centre and combining the Lady Barron Falls walk. We drove back to the visitor centre and Waterfall café for the next walk. 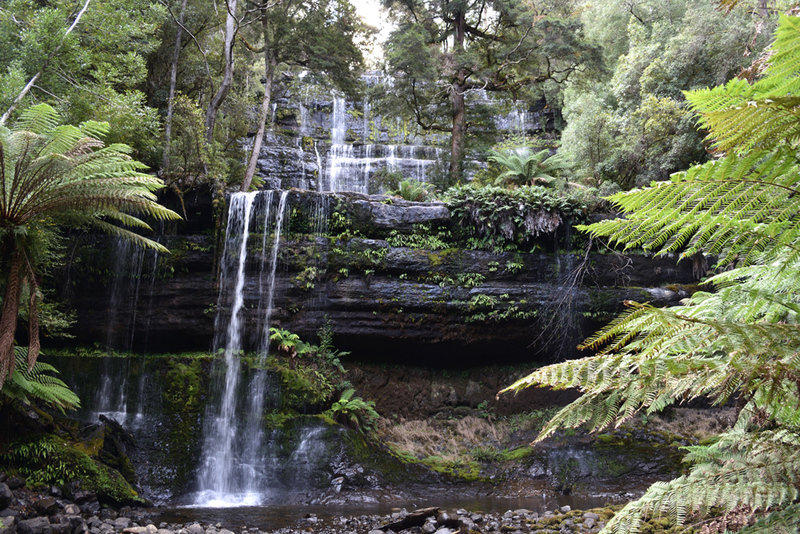 The 600m Russell Waterfall track is accessible behind the centre and meandered under a dense forest canopy tracing upstream. We did keep an keen eye out for one of the native platypus, hoping to catch a glimpse in the creek. 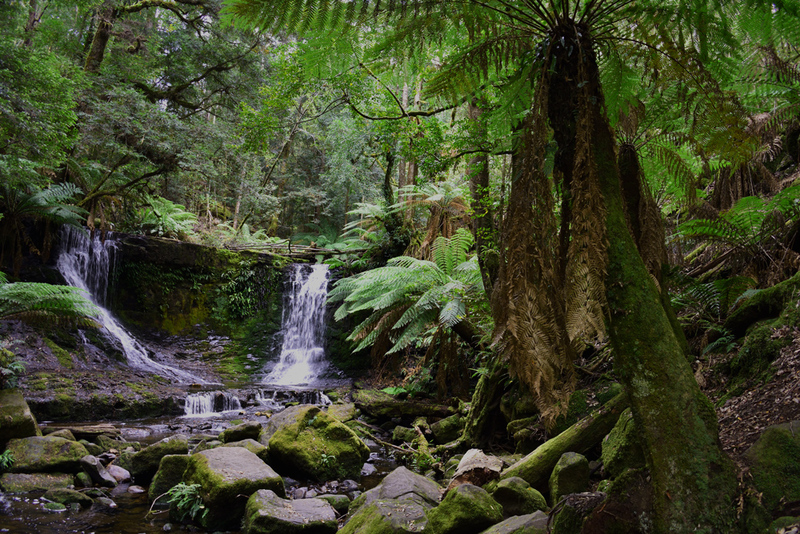 The tree ferns soared to the top of the forest canopy. As we rounded a corner and walked out onto a viewing area at the bottom of the falls, the first glimpse was a tease which I thought was the falls, however as the view opened up, my breath was taken away by the terraced waterfalls. It was so beautiful and a memory I won’t be forgetting any time soon. Moving on, we continue up a short but steep set of stairs. I couldn’t help but notice how neat and well crafted they were, blending into the natural surroundings with minimal impact. One of the aspects of the trail experience we enjoyed was being engulfed by the natural environment. Around the corner the forest opens to Horse Shoe waterfall and the greenery around this waterfall is a lot more dense as we head further into the forest. The three walks we completed were on the lower end of the mountain and definitely achievable in half a day. 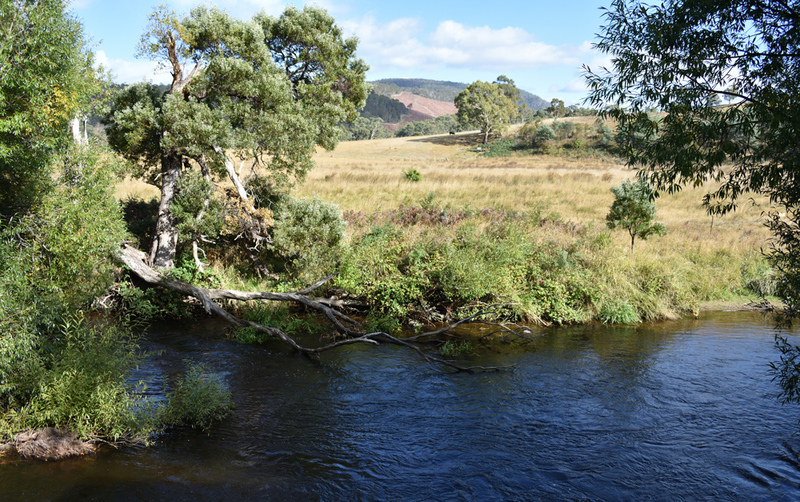 The river systems in Tasmania are beautiful and one of our coffee stops was by the Tyenna River at Possum Shed with a fantastic Australian bush view in the background. Tasmania recognised the value of locking in food security many years ago by focusing on growing and consuming in the general locality. 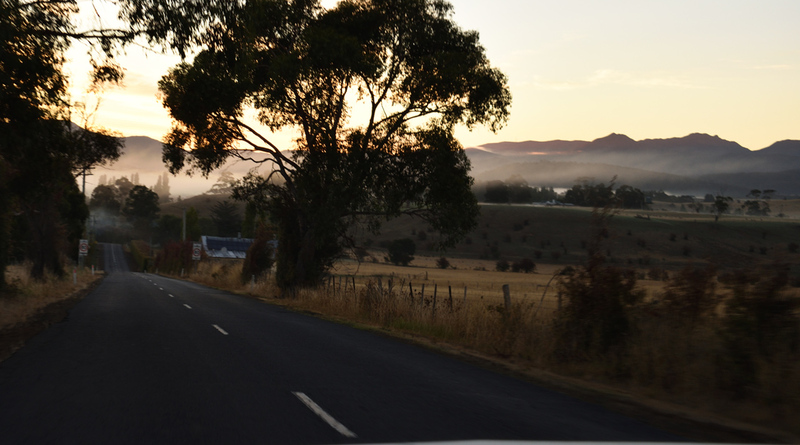 Tasmania’s vision to become Australia’s food bowl did not go unnoticed during our trip. Our eating activities were largely unplanned, decisions made on the spur of the moment and we managed to find deliciously fresh food. Honestly, it was effortless to find good food in Hobart and there is nothing better when this happens on a holiday in unfamiliar territory. We stayed in a quaint character bed and breakfast by the name of Hawthorn Lodge outside of Hobart in the country side town of Bushy Park. Our room was located at the top of a narrow set of creaky stairs, a dollhouse window opened to a view of the front garden and the moonlight at night. A duck would quack in the late evening and in the mornings, a deliciously simple breakfast left in the dining room. 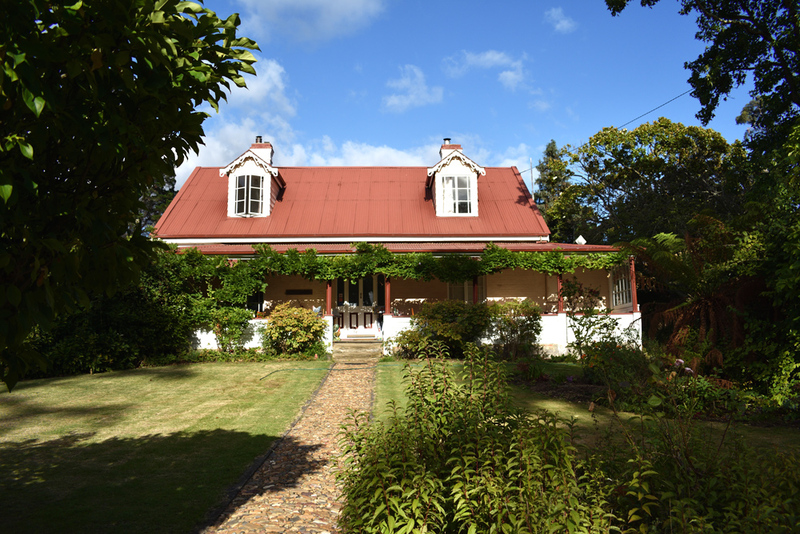 The bed and breakfast stay was a different experience to our preferred self contained holidays but I think we would definitely go for the option again, it was a nice stay and the hosts very accommodating with our mountain biking activities. We spent a few days at the newly opened mountain bike park, riding down a steep mountain. It was so much fun and I wrote a post about it here. 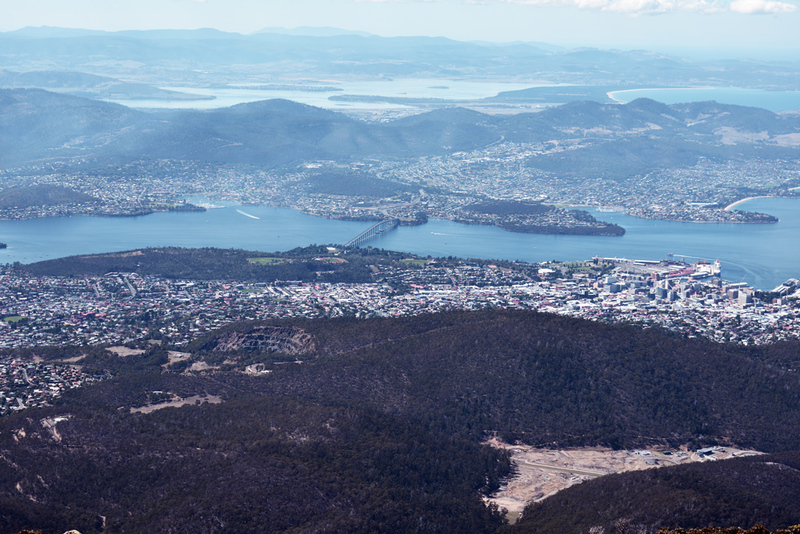 Considering Hobart is Australia’s second oldest capital, during our short trip it was incredible to discover the amount of natural beauty that this state has preserved. 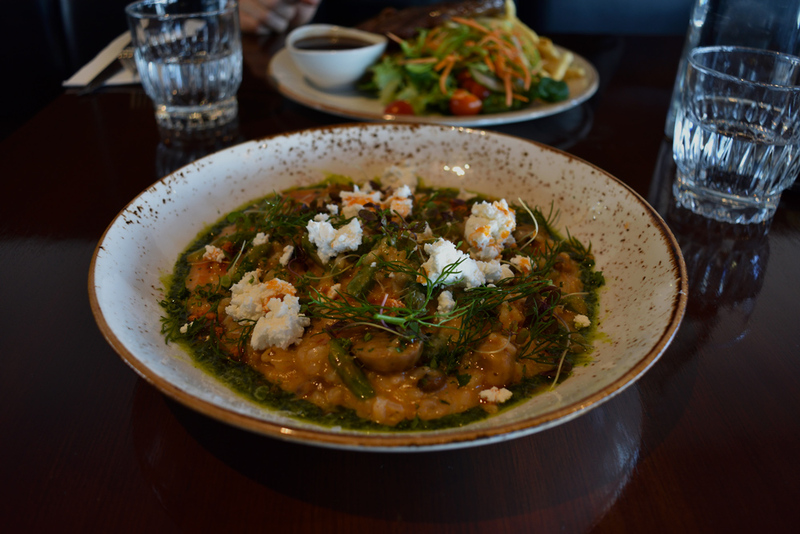 I am fairly certain that anyone who enjoys the outdoors and good food, will definitely fall for Hobart’s charm, just like we did. 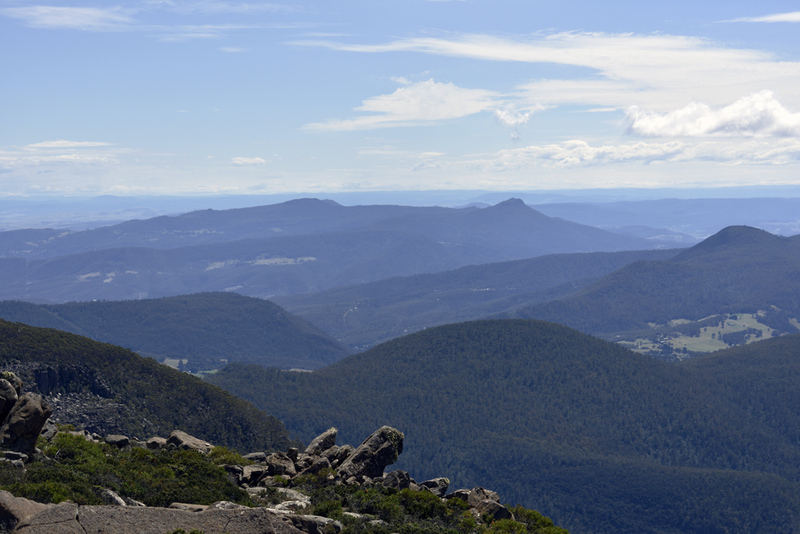 Basically, Tasmania does tourism really well.